Brandnetic was tasked with bringing this new downtown townhome development to life. The 12 luxury townhomes are inspired by the rich legacy of the arts and cultural district at Richter and Cawston, with breathtaking views of the Okanagan just minutes away. Our goal was to develop an identity that would stand out in a crowded real estate market. Playing off the significance of Kelowna’s historic train station just blocks away, this logo borrows from the past with a nod to the future. Inspired by the proximity to Kelowna’s original Canadian National train station, we embarked on a brand concept that utilized the black and white rectangular shape for a railroad crossing sign. At the same time we flipped the I to be horizontal to give the design a unique look while keep the letter width consistent. 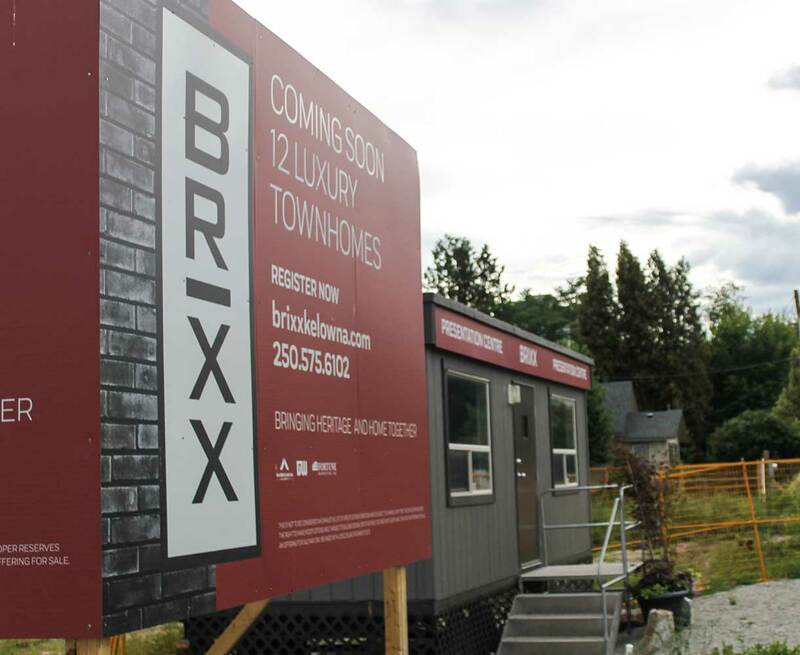 A unique vertical branding sets apart the Brixx brand along with a rich red and black colour palette that brings warmth and history together. The name and brand were designed to respect the past and welcome the future. While the townhomes themselves are decidedly modern, their heritage location is deeply rooted in Kelowna’s history. Designed to reflect this historical link, the wordmark and accompanying logo graphic are simple and clean; we’ve used an industrial-esque square font and positioned it with a graphic that is almost utilitarian in its modest aesthetic. Together, the more traditional wordmark and the modern logo graphic tell a story of modern design that deeply respects the past.